Whilst Apple has started to stray from their well worn path to create a more unique device with the iPhone 6, HTC are still keeping true to the One series, and the M9 looks incredibly similar to it’s precursor. However, there are a number of changes, both internally and in the software that make the M9 a notable upgrade from the M8. But how does it compare to Apple’s newest flagship, the iPhone 6? In this comparison, we put each device head to head across various different categories. Want to hold the beauty of the HTC One but don’t have enough money for it right now? Whilst you can’t get the sleek build quality of HTC’s new handsets, you can still change a few things here and then on your own phone thanks to the amazing open operating system Android. Android gives owners the freedom to make their handsets look how they want them to, and with a few tweaks, you could be striving for the same beauty that is found on the HTC One. 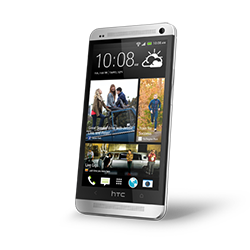 After only being out on the market for a short time, the international version of the HTC One has now received an update to Android 4.2.2. The update will also slightly change Sense 5.0. Want to bloat out your new 2013 phone with the Facebook Home interface but don’t want to spend money purchasing the HTC First? 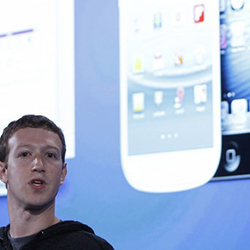 Well now you can, as Facebook has just given support for the Galaxy S4, HTC One and Sony Xperia ZL. Although Facebook Home was already available for last year’s big smartphone players such as the GS3 and the HTC One X, it’s only taken over 1 million downloads of the app for Facebook to realize that they forgot support for the new 2013 flagship handsets.